I do think I found some inspiration on Pinterest, but I did make it my own. The main color is Gorgeous Grape, which I just love. 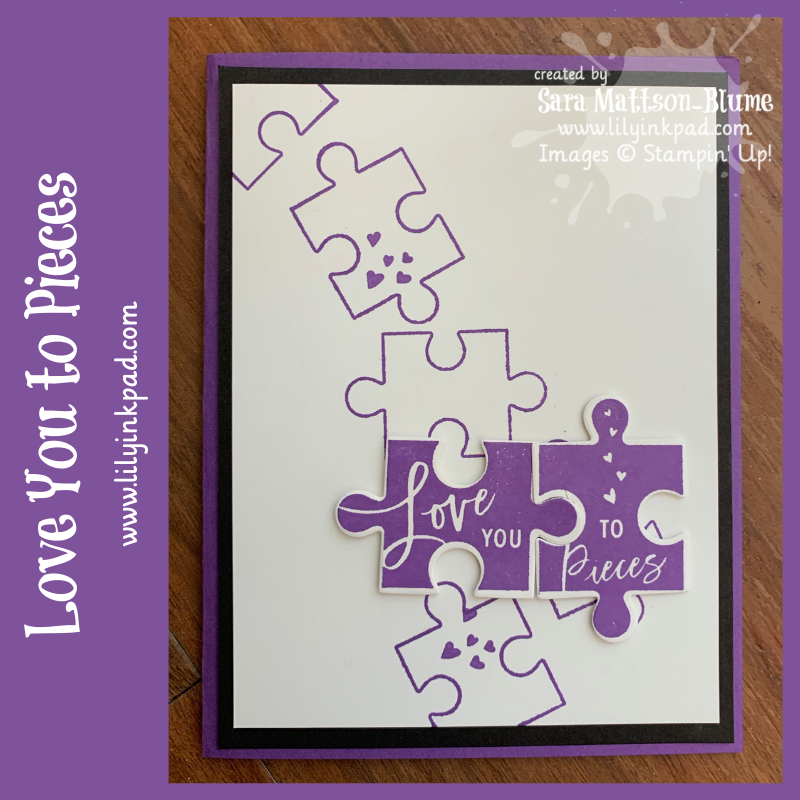 Originally, I had a white background on a white base, but I added the Basic Black and the Gorgeous Grape layers and it really made the card pop. 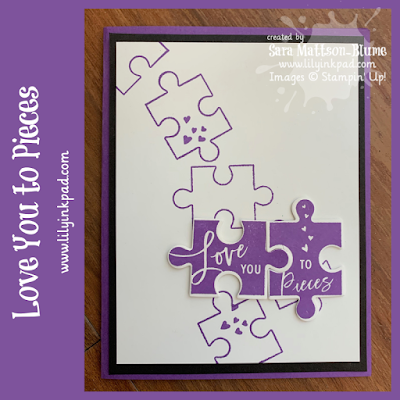 I used the puzzle outline and hearts to add a background. Such fun and not too tricky! Love your card and the black layer really makes it pop.